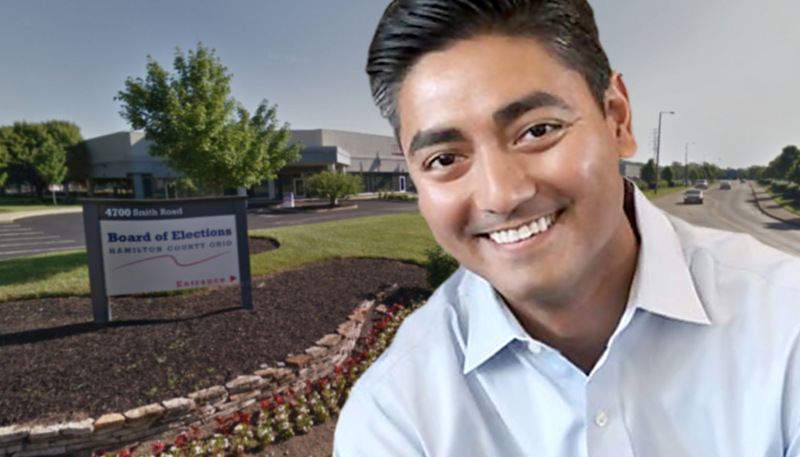 Heads did not exactly roll at the Hamilton County Board of Elections after it was discovered which official blacked out the secret memo line of Aftab Pureval’s questionable campaign checks. But action was taken this week against Sally Krisel, the deputy director of the board. Krisel will lose two of her six weeks of vacation time for redacting the memo lines of, not one or two, but four checks. Each one of them has been called into question as to the purpose, and the fact that a Pureval campaign official, most likely his campaign manager, requested redactions gives an aura of a cover up. The checks came from the campaign of Pureval, the Democratic candidate who’s running against U.S. Rep. Steve Chabot, (R-OH-10). The poll itself, which was obtained by The Enquirer last month, contained questions only about Pureval’s congressional run, not his local campaign. That’s key because the money came from an account designated solely for his local clerk-of-courts campaign. If the Ohio Elections Commission finds that the money used to pay for congressional polling and other services came out of the local campaign account, it will be obligated to take action against Pureval’s campaign. That could come in the form of a fine or even jail time. Although a felony, such crimes are rarely punished with jail time. The scandal has already hurt Pureval politically. The race between he and Chabot went from a “toss up” to one last week that shows Chabot with a 9-point lead. Krisel, who is a Democrat, apologized at a hearing last month, saying she redacted the lines at the request of Pureval’s campaign manager, Sarah Topy. Pureval has so far taken no known action to fire or discipline Topy. “I had a black pen. I did it, and I said go file it,” Krisel said at the September hearing. The loss of two weeks’ vacation is a “substantial punishment,” Board of Elections Chairman Tim Burke, also a Democrat, told The Enquirer. Krisel earns a salary of $118,000. The one week’s vacation time is worth $4,500.